Mortgage Rate Forecast – Is Now the Time to Buy? Have you been holding out on the purchase of a new home? Waiting to see what the interest rates were going to do? With all the changes going on with the government, and a new head being appointed in the Fed this year, it’s natural to want to wait to see how things shake out. However, it might be time to take action, particularly if you want to lock in a lower interest rate while you can. What does the 2018 mortgage rate forecast look like? What’s Going on with the Mortgage Rate? You can sum up the expected mortgage rate trends for this year in one word – climbing. After spending years at historic lows, things are finally picking up steam and the Fed has raised the prime rate. That’s good news for banks and other lenders, but it means that would-be homeowners should get in while they can, or they might end up paying more than they would have. Already, 2018 has outperformed the expert opinions from late 2017. Economists expected we would be around 4.4% by the middle of the year. The US hit that mark by mid-February, and we’re well past it now. 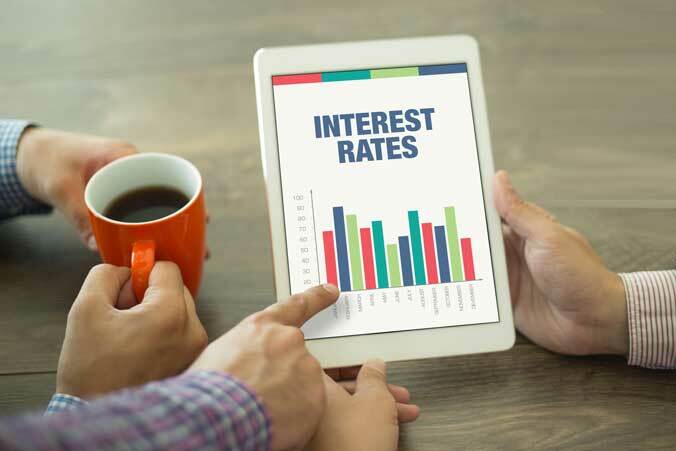 Thankfully, mortgage rates are still low, and while they are not as historically low as they once were, getting in now means that you can avoid the inevitable increase that is coming. Freddie Mac announced that by early 2018, we were already up 67 basis points on 30-year fixed rate mortgages. That alone means that home buyers can expect to shell out over $100 more per month on a home loan of $350,000 if they made a 10% down payment. Less money down and you can expect that extra per month to skyrocket. Don’t neglect the fact that the mortgage rate hikes are just beginning. The new Fed chairman has indicated that he expects rates to rise two more times this year alone. Each bump up, although seemingly small, will raise your monthly mortgage payments by a significant amount. For those interested in buying a home in 2018, now is the time. The mortgage rate is no longer as low as it once was, but it remains near those historic lows. Buying now ensures that you are able to lock in one of the lowest rates, historically speaking.